At the heart of one of Brisbane’s up and coming suburbs, Coorparoo Square is set to redefine apartment living at its best. Just 4.5km south-east of Brisbane’s CBD, Coorparoo Square is the suburb’s newest retail and lifestyle precinct; an urban oasis blending a living environment that encompasses everything you need, connected to everywhere you need to go. With a brand new retail complex located on your doorstep, you have access to a dining, shopping and entertainment hotspot at your fingertips. 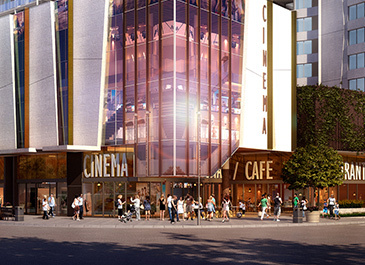 A diverse and vibrant mix of retailers will call Coorparoo’s retail precinct home, including 10-theatre boutique national cinema chain, Dendy Cinemas, global supermarket chain, Aldi, Beyond the Pale, Hello Harry, Pablano and much more to be announced. Just 4km from the iconic Gabba stadium for the sports fans, minutes from live music venues, walking distance to supermarkets and specialty stores and all with public transport on your doorstep, proximity is priority at Coorparoo Square. Whether you work in the city, study at one of Brisbane’s world class universities or colleges, or are just seeking the ultimate city lifestyle, you’ll find it all at Coorparoo Square. For more information about making Coorparoo Square your new address, contact the onsite manager at gm@csqapartments.com.au or phone 0435 365 352 for current rental opportunities.